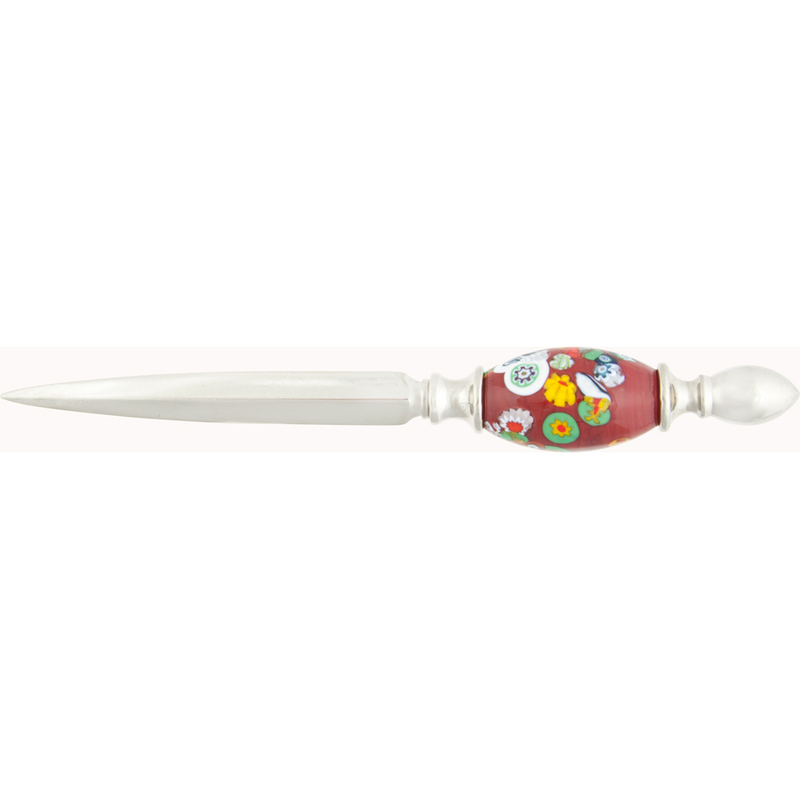 These stylish letter openers feature a handmade Murano Glass Bead with a base of Murano Glass with slices of the famous Millefiori (thousand flowers) glass. The length is approximately 6 3/4 Inches long (17.5cm). 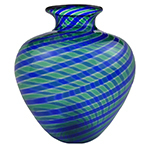 These make great office gifts or also for Corporate Gifts. 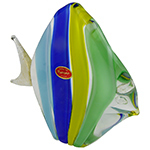 The color is a deep red with contrasting random slices of millefiori.